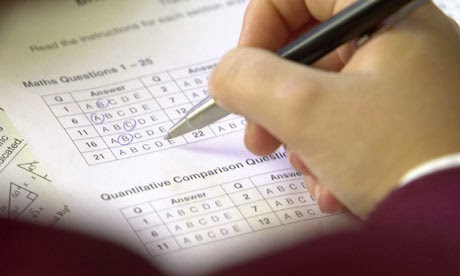 It would be nice if we got multiple choice exam papers, wouldn’t it? Hello! If you learn anything from my blog, let it be this: don’t take any exam advice I give. Or maybe, don’t take any exam advice you’re given to the letter. I’ve talked about mock exams a lot in the past few weeks because I’ve not been allowed to think of anything but mocks or exams since I was 15 because my school is all about pressure and psychologically breaking their students (but I don’t think that’s on the prospectus!). Over this period of being absolutely drowned in revision techniques and whilst I guess this is good for people who have no idea what they’re doing, I always found that experimenting was the best way for me to find how revision works for me (though, don’t ask me to define ‘working’). I’ve tried mind maps, posters, post-it notes, videos, audio and I’ve found that repetition is the most effective revision technique for me. When I was revising for my GCSE science exams, I wrote out each of my biology, chemistry and physics notes out three times each (nine lots of science notes) and I earned 2 A*s and an A in those modules. At GCSE, repetition worked and at A Level it didn’t – in English I wrote out my terminology notes at least twice and I still didn’t do as well as GCSE. So I have to start experimenting again. Teachers shove these tests down your throat about being a visual, auditory or kinesthetic learners and you’re only allowed to exclusively fit into one – whilst I said don’t listen to my blog, I will say that you should experiment between all three fields if you want to find the best way to revise. Do you have any revision techniques that work particularly well for you? Do let me know in the comments! ← Page 31 of 365: A whole month of blogging!